Two women, Erin Einbender and Laura Berryman, are volunteers for the Austin Pets Alive! Group in Texas. One Saturday, they headed out with several adoptable dogs so they could shoot photos of them for the group’s website. They were almost finished photographing one of the dogs when they got an unexpected visitor: a stray dog walked right up to them and sat down. The women grabbed a leash and were able to attach it to his collar, realizing he was incredibly friendly. He was smiling, wagging his tail, and politely asking for pets, too. 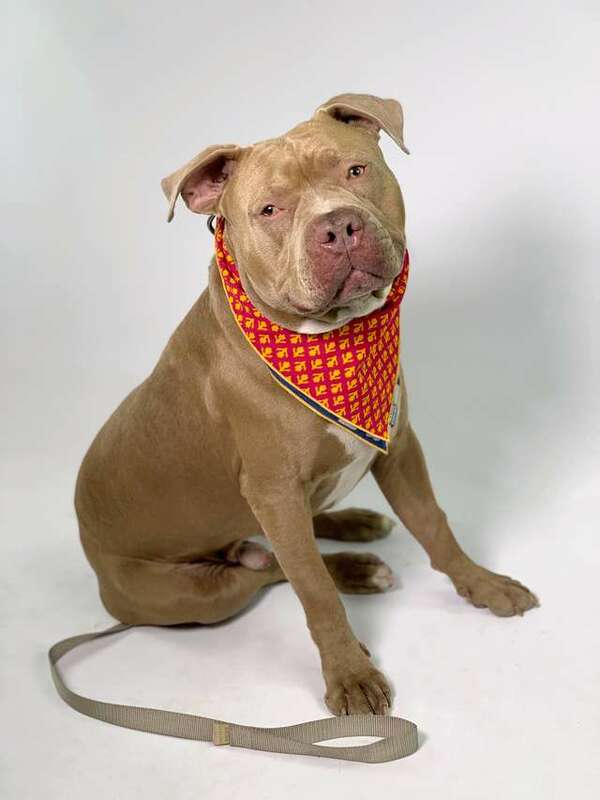 The pit bull was actually wearing a collar, but it had no tags. So, the women walked around the neighborhood asking if anyone recognized the dog. Unfortunately, no one knew him and they couldn’t locate his family. So, they took him back to their photo studio and decided to get some photos of him. At first, he wasn’t interested in sitting still for pictures, but some tasty treats quickly changed his mind. 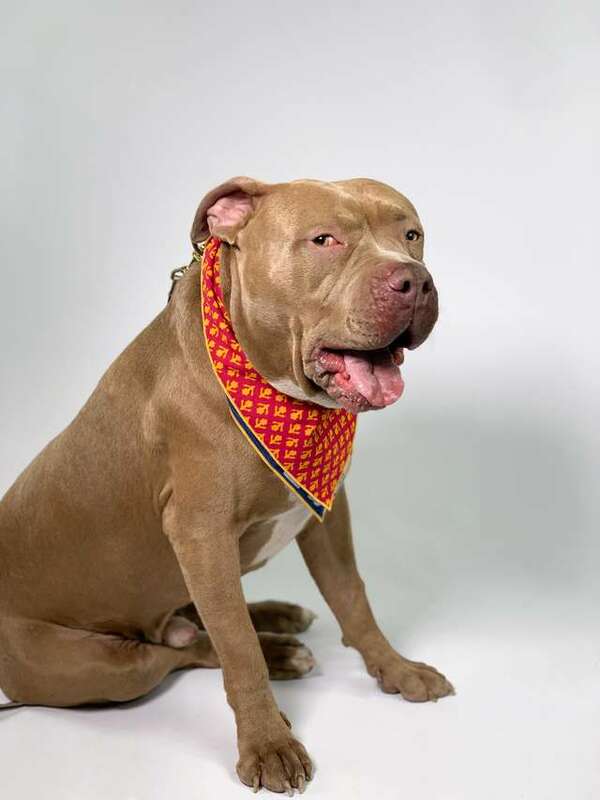 They put a beautiful red print bandana around his neck and he just sat there and posed—he was a natural. The photoshoot was fun, but they really needed to help him find his family. 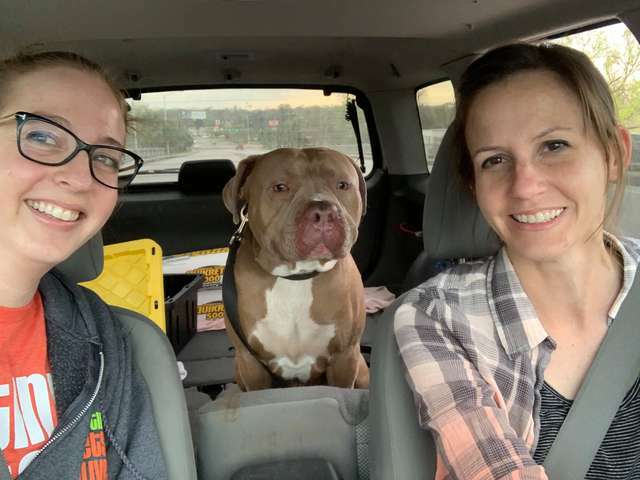 So, Erin and Laura loaded him up in the car and headed to the Austin Animal Shelter. They were going to ask that he be scanned for a microchip. He loved being the car, smiling and sitting quietly the entire way to the shelter. Unfortunately, he did not have a microchip. 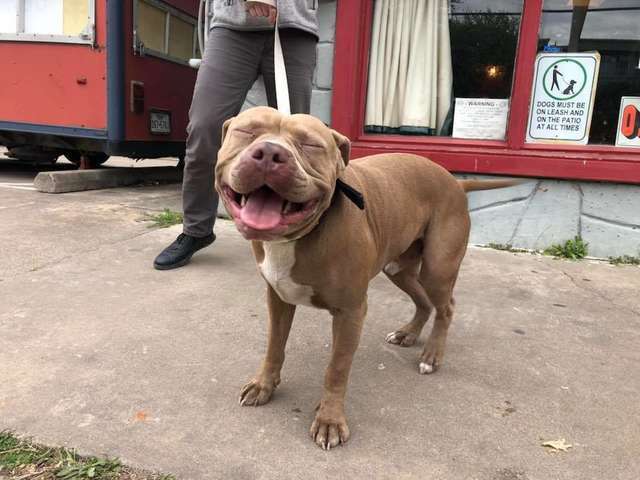 So, the women took those beautiful photos they had taken of the dog and began posting his picture on lost dog websites online. They were hoping his family would spot him, and sure enough that’s just what happened. 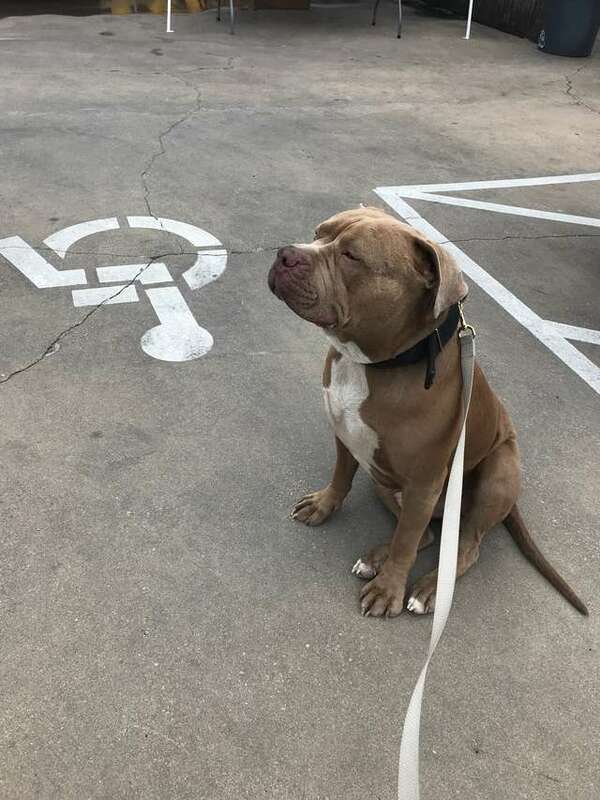 His family came forward and picked him up the following day—his name was Zeus and they were desperately trying to find him. 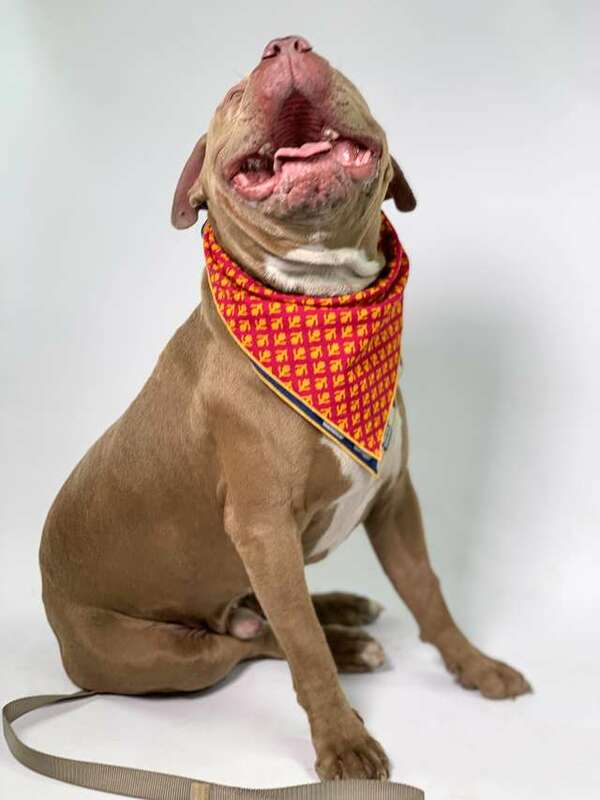 After his glamorous day of being a dog model, he’s now safely back home with his family!